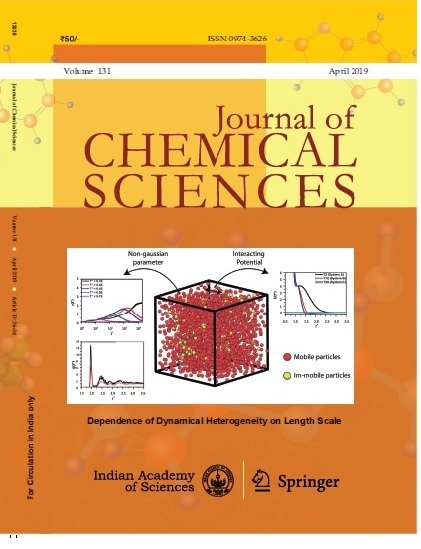 Originally a part of the Proceedings of the Indian Academy of Sciences – Section A, started in 1934, the journal evolved into an independent journal titled ‘Proceedings – Chemical Sciences’ in 1978 . It was retitled ‘Journal of Chemical Sciences’ in 2004. The journal publishes original research articles, Rapid communications, Reviews and perspective articles, covering many areas of Chemical sciences. It also publishes special issues on frontier areas of the subject. 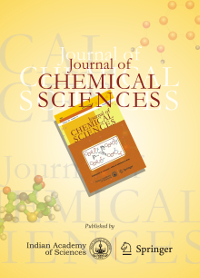 Journal of Chemical Sciences is now distributed in print outside India and online worldwide by Springer, co-publisher of the journal. On Springer, Journal of Chemical Sciences (www.springer.com/12039) is part of SpringerLink, one of the world's leading interactive databases of high quality STM journals, book series, books, reference works and online archives collection. Print subscriptions within India and open online access will continue to be served by Indian Academy of Sciences.